Is web chat giving you a hard time? Chances are Adobe has made another update and causing issues!! The process below can help. You simply need to clear your Chrome Temp files, which will force Chrome to load fresh information the next time you go to a website. 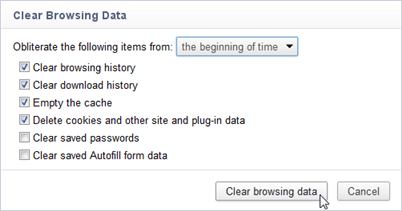 Click Clear browsing data to clear your temporary internet files. Don't worry about which options to pick, just use the defaults.